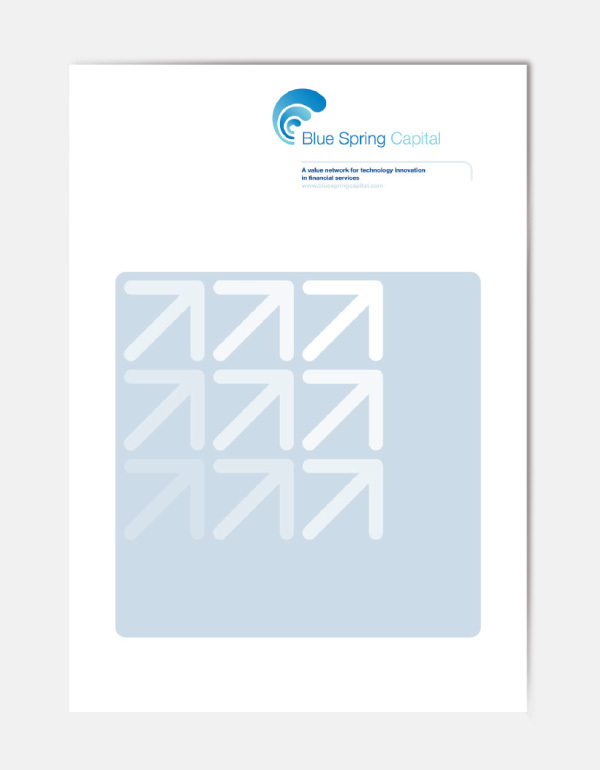 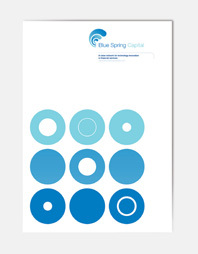 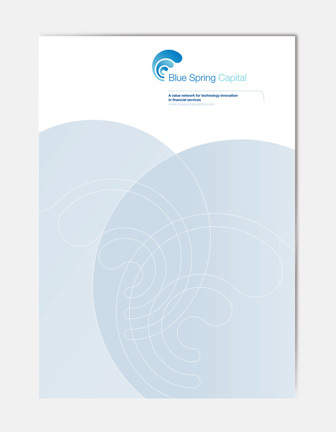 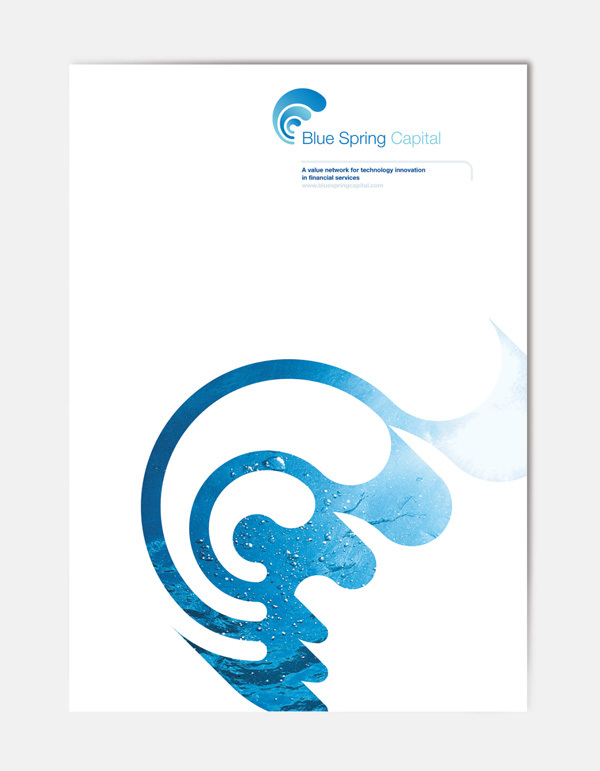 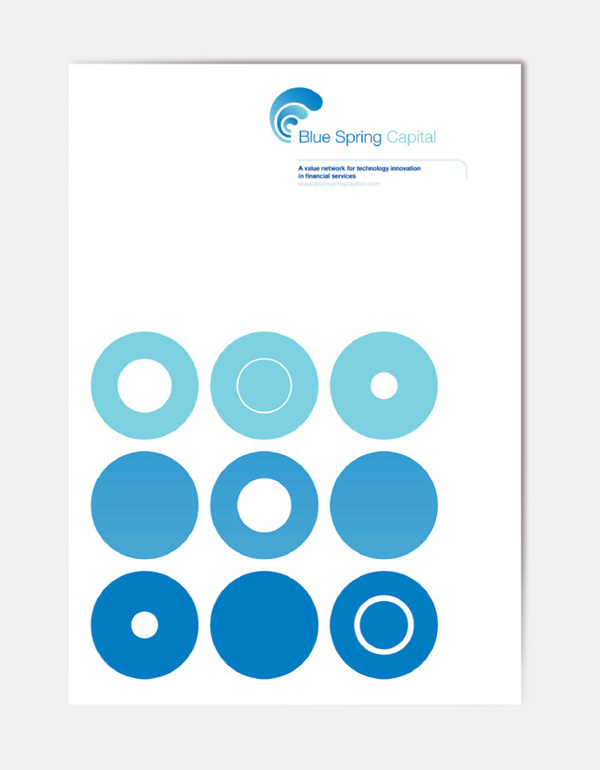 Intro devised the visual identity for Blue Spring Capital, following on from a successful campaign created for the same team at Deutsche Bank e-Ventures. 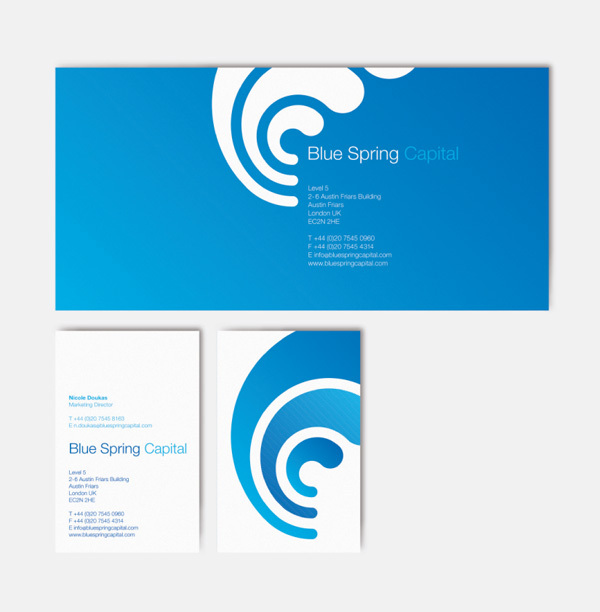 The identity, which extended over print and web, reflected the fluid and innovative approach of the group and includes stationery, printed literature, presentation templates, signage and a password-protected website. 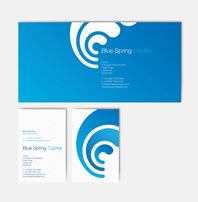 The logo used a wave motif to convey the notion of latent power; this motif is used in various configurations throughout the entire identity.